I had seen the dramatic sunrise over the Les Menuires ski slopes, the days before. 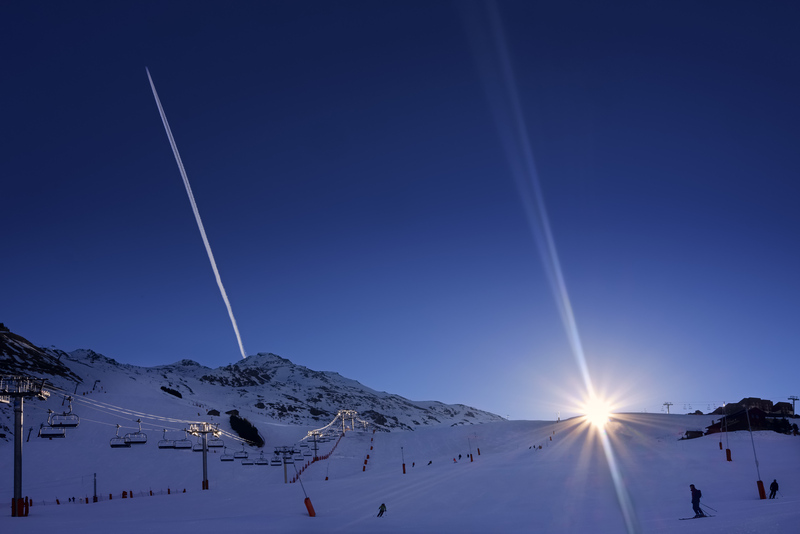 As I was waiting for the sun to come from behind the mountains on day 4 of my recent ski holiday, a contrail of an airliner flying westbound appeared, adding to the image composition. I shot a serious of images moving slightly in order to have two parallel lines between the sun flare and contrail. Having immediate feedback on the LCD was vital in getting the shot below! I especially like how the lifts on the left reflect the early morning sunlight while there were a handful skiers coming down from their hotels/chalets for their first run. The image was made around 0845am, 15 mins before the ski lifts opened for the day. While I initially envisioned to do a full "First Look" review of the new Fujifilm entry level X-A3 camera, I eventually elected not to do so as the firmware installed was early pre-production and still had quite a few bugs. Checking with Fujifilm Japan, I've been told that all has been cleared in latest 1.0 production firmware but unfortunately I wasn't able to do a quick firmware upgrade while I was away on the trip with the camera. In any case, being one of the smallest of the X-series cameras, the X-A3 was great to take with me while skiing; especially with the little pancake 27mm f2.8 and small 35mm f2 lenses. The image quality of the 24 Mpx APS-C "non-X-Trans" sensor is great. If interested in more X-A3 images, check out my dedicated gallery for the trip: "Les Menuires, 3 Vallées, France". On the last day of my weeklong trip, I had a small ski accident, going home with an injured left shoulder and lower leg. Although I presently have a very limited mobility, I do plan to use the probably 3 to 4 weeks off from the day-job, working on an upcoming "single hand photography" project... More to come soon! Remember: "There is no gain without pain"
When the Dubai Creek Golf clubhouse was built in 1993, it reminded a lot of people of the Sydney Opera house. Apparently the buildings Architect, Brian Johnson, is always keeping at least one 20 UAE Dirham note in his wallet, as it shows the clubhouse in full glory; a perfect business card he calls it! 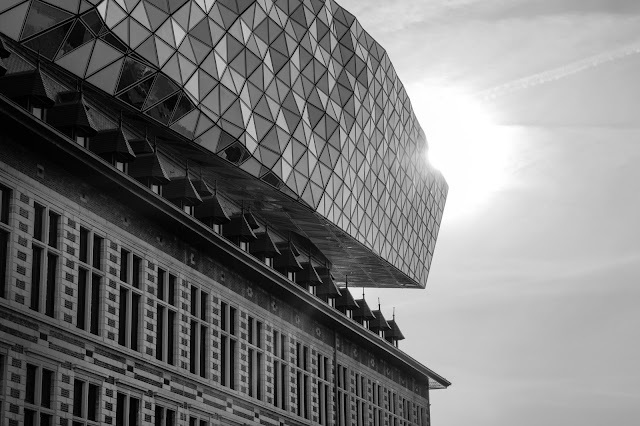 Over the years, my own Architectural photography has become a lot more minimalistic with the image below being a good example of that. Although I initially envisioned the image in black and white, I do like the color version more; more than likely because of the blue and yellow complementary colours. 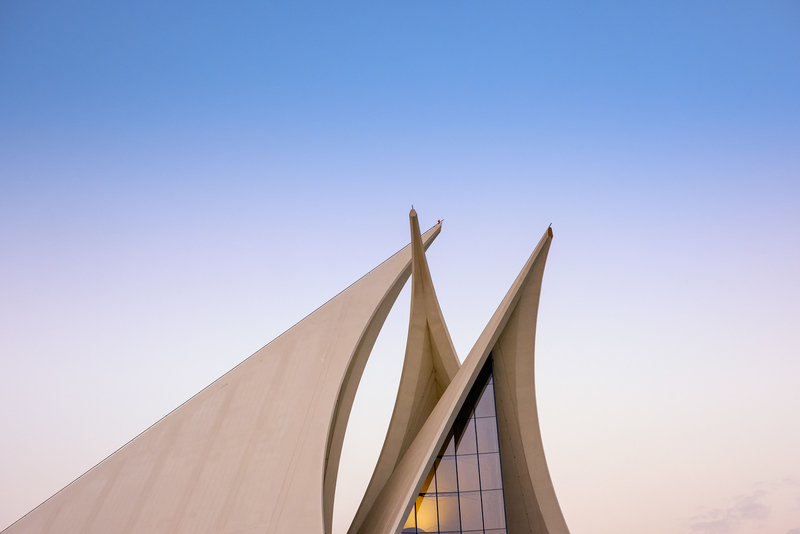 More of my Architectural photography work in Dubai can be found here. Last but not least, the Bjorn Moerman Photography blog made it into the Top 100 Camera blogs curated by Feedspot, one of the leading modern RSS readers for the web. Thanks to all the blog-readers, we made number 53 out of the 100 blogs selected. For a blog that has been run for almost 8 years without any advertising, I'm very happy with this achievement! We finally got to see some clouds and even got a few drops of rain in Dubai, this week! Coming from Central Europe, it is hard to believe one can be excited about this! The image below was shot from the passenger cabin near the island of Bahrain. 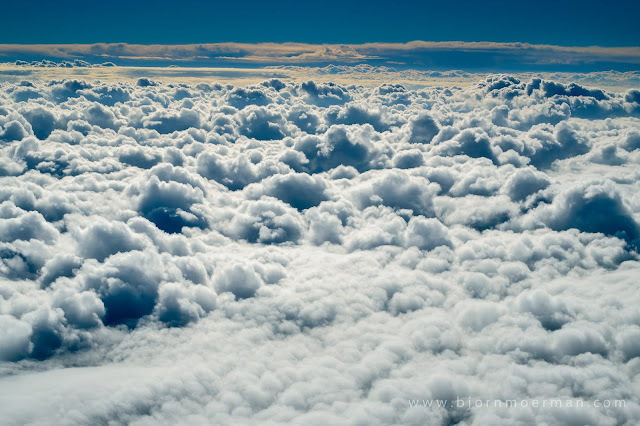 With the more dramatic clouds at the horizon, the fluffy clouds in the foreground felt like a soft bed one wants to jump in at the end of a hard working day! Although as an airline pilot I see scenes like these almost on a daily basis, I still don't them for granted. For the ones that missed it, my review of the new XF50mm f2 lens can be found here. 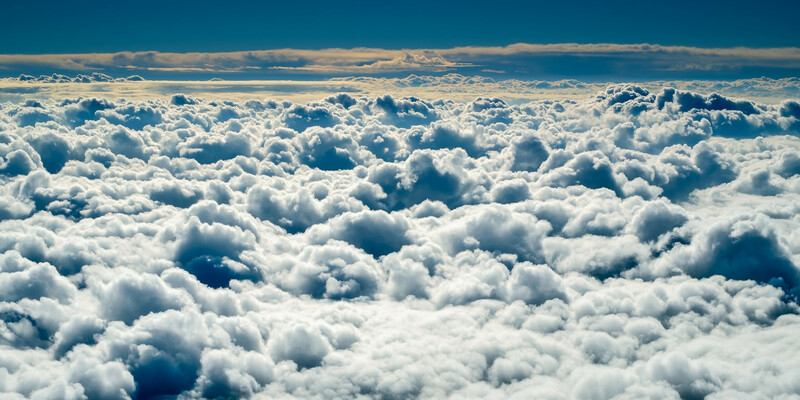 Remember: "Every cloud has a silver lining"
READY FOR A PHOTOGRAPHY CHALLENGE? 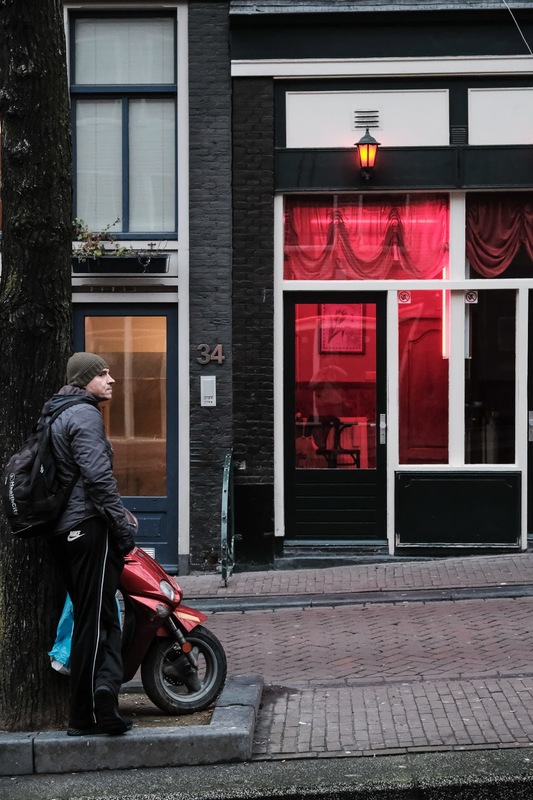 Today I'm introducing the 24 Hour Project; a yearly photography project which gathers Street and Documentary photographers from around the globe who share in real time images documenting the "Human condition of their city"/. Photographers share one photo per hour on social media during twenty-four hours. All images need to be shot on the day itself. You don't need a fancy camera to participate; a camera phone will work just fine! The main objective is to go out there and document human life in your city during the 24 hour time frame. How you do this is purely up to you! 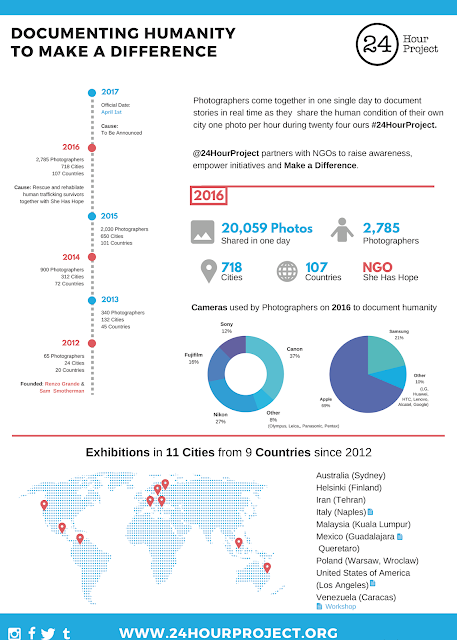 Started by Renzo Grande and Sam Smotherman in 2012, this great photography challenge is now on its 5th edition. 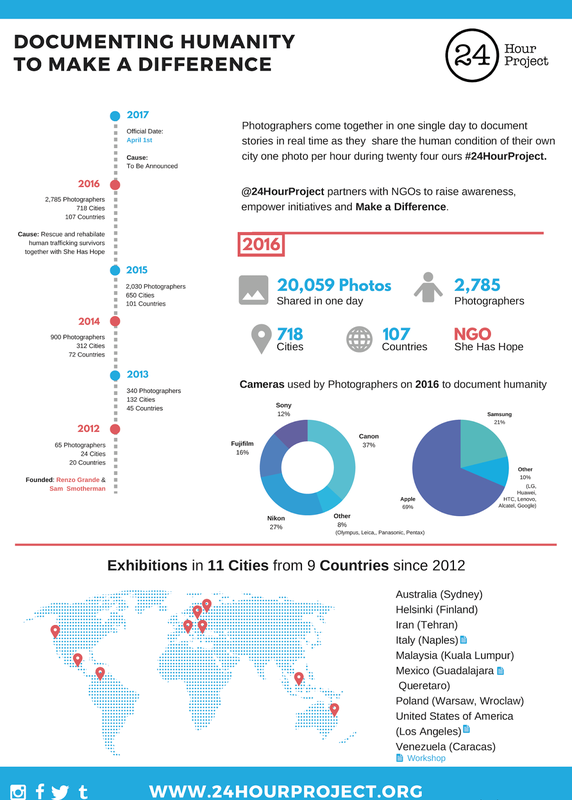 Last year 2785 photographers in 718 cities from 107 countries participated! 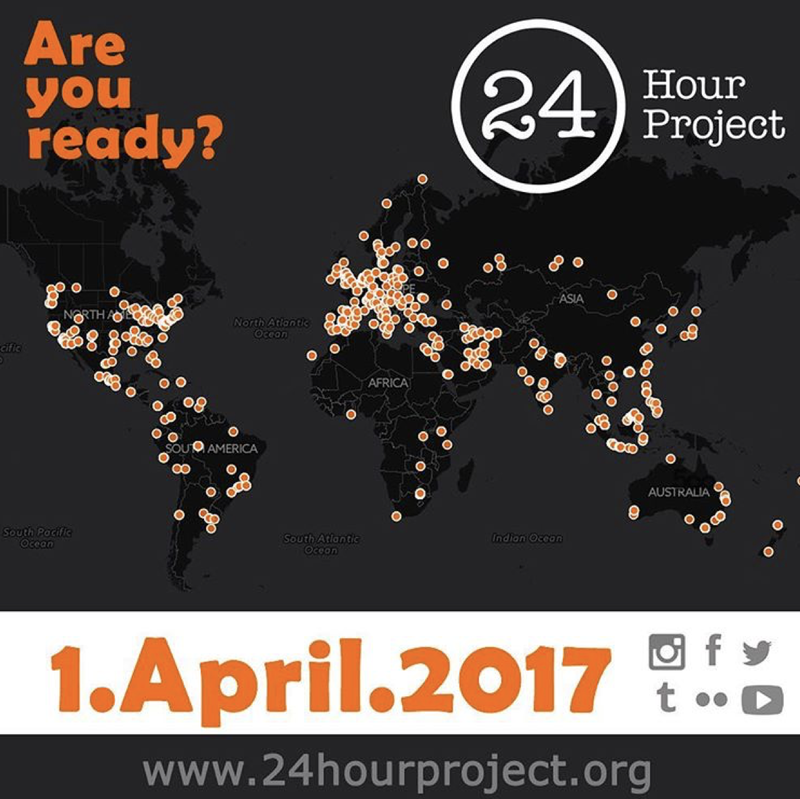 The 24 hour project, partners with NGO's to raise awareness, empower initiatives and hopes to make a difference! Worldwide the event will start on Saturday April 1st at midnight (0000am) and will run till Saturday night 2359pm. As all cities will start and finish at the same local time, the event will run over a more than 24hr period. For the suspicious ones, no it is not an April fools'! After the event, all photographers participating will submit their final 24 images to www.24hourproject.org . The most inspiring images will then be selected and will travel around the world in exhibitions and will be used to make a photo-book. Each city has a dedicated ambassador and yours truly (Bjorn Moerman) has agreed with the organizers to take up this role for Dubai. I hereby like to invite all people wanting to participate, to first register for FREE at www.24hourproject.org . 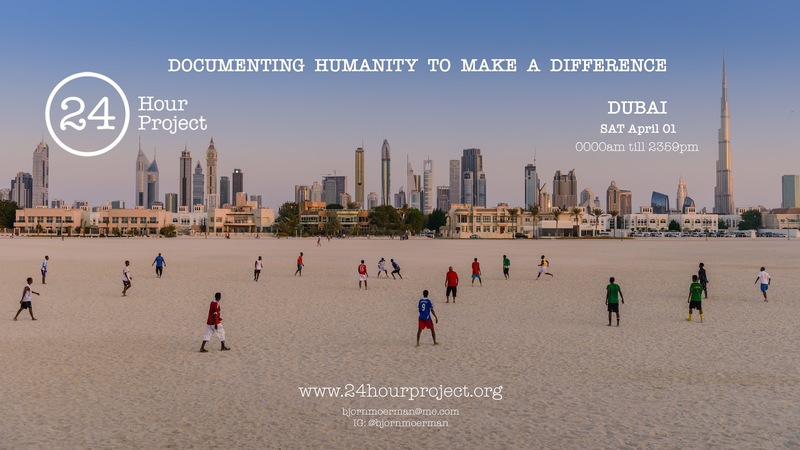 Photographers that are willing to accept the challenge in Dubai, I invite to join the Facebook group "24 Hour Project Dubai". People who do not have Facebook accounts are of course welcome to join as well; please leave a comment below or email, so I can contact you directly with all the info needed. The intention is to get some attention for the project by the local media. People having good ideas to do so, please leave me a message below or contact me on Facebook or Instagram. 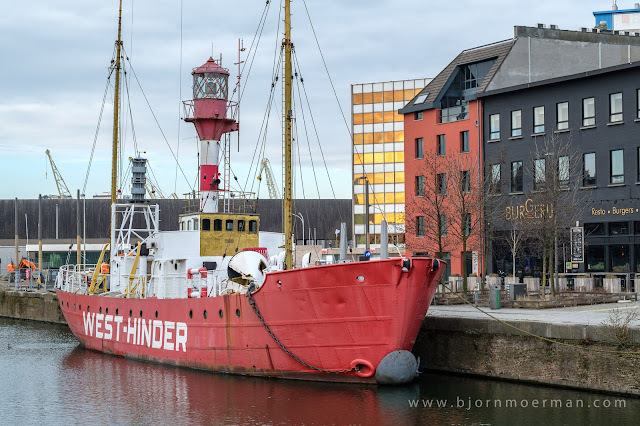 Although the 24 Hour Project is not meant to be like a classic photowalk, I do intent to a least meet for the start and finish as well as potentially get together for breakfast/lunch and dinner. A rough timeline with the places I personally would like to document over the 24 hours will be shared on the Facebook group before the event. I'm very interested to see who dares to accept this challenge, which will probably be something you remember for the rest of your life! Good luck to all the participants! Remember: "If it doesn't challenge you, it doesn't change you"! Feel free to download and share the banner in this post! No permission is required to do so. 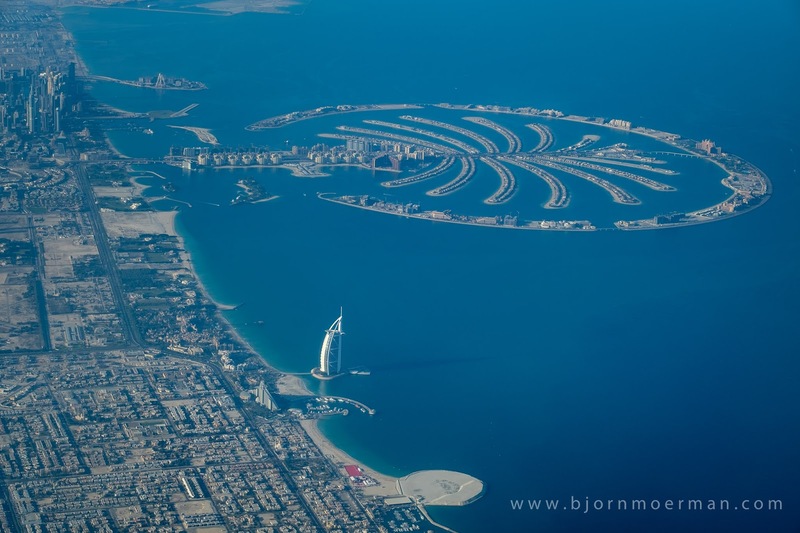 Having plenty of prominent landmarks, Dubai is a great place for Aerial photography. 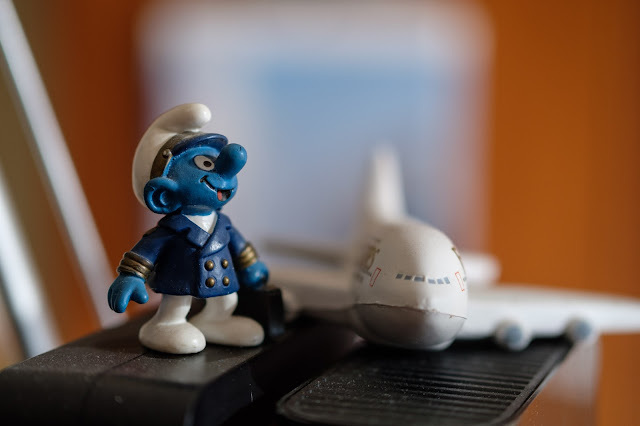 As a pilot/photographer it is no surprise this genre of photography is close to my heart! 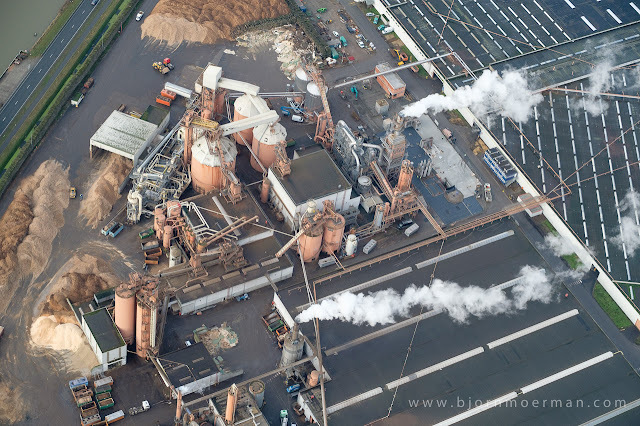 Check out my Aerial Photography gallery here. When an outsider thinks about Dubai, three landmarks/buildings often come to mind; the worlds largest tower, "Burj Khalifa; the "worlds only 7 star hotel"Burj al Arab and the Palm Jumeirah a large residential man-made island. A few weeks ago, I managed to frame the last two together in a single shot with the new XF50mm f2 Fujifilm lens. I like how the shadow of the Burj al Arab hotel in the foreground casts in the early morning calm waters of the Gulf. 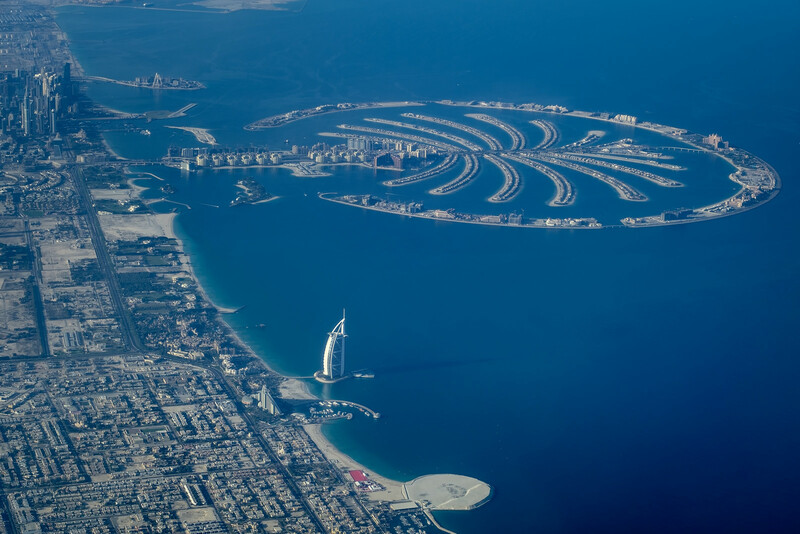 One can also see the runway of SkyDive Dubai in the top left third and the "Dubai Eye" under construction, just of the Dubai Marina coastline. For the ones interested, my review of the brand-new lens used to make the image above, can be found here. When Fujifilm announced three new cameras on January 19 (X-T20, X-100F and GFX 50S), they also released a new lens; the XF50mm f2 lens, an announcement that was somewhat overshadowed by the other new gear. Last week, I got a brand new test sample of the XF50mm f2 lens on loan from Fujifilm Middle East, for a first look review. If you haven't done so, I invite you to check out my Fujifilm X-T20 and Fujifilm X-100F first look reviews. 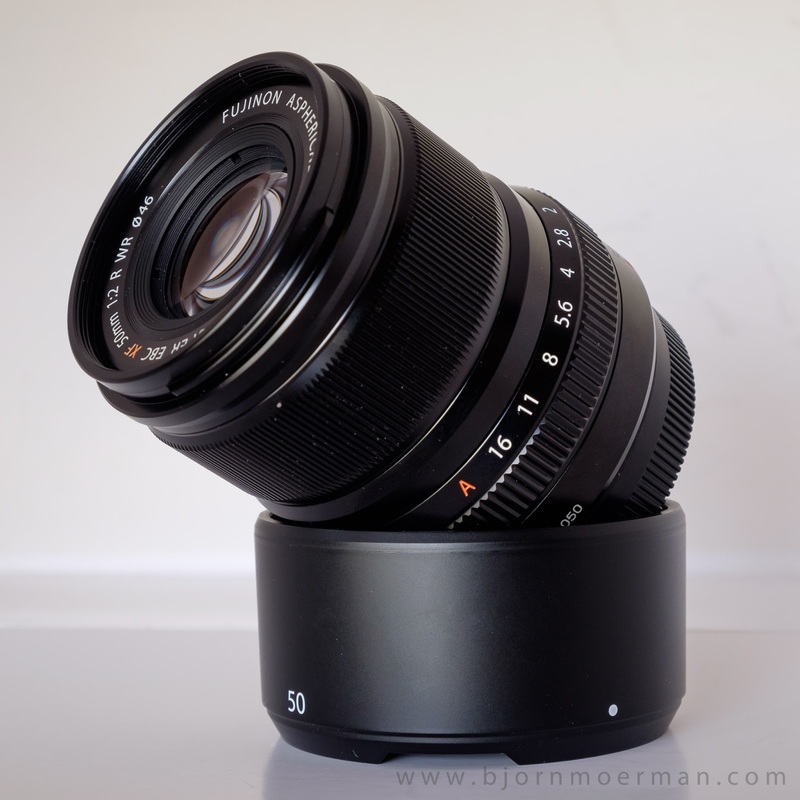 The lens is part of the new weather sealed f2 lens selection Fujifilm started in October 2015 when they released the very popular XF35mm f2. Last year in August, we saw the new XF23mm f2, which has quickly become my new go to lens for Street Photography. I really like how Leica has several different lens line-ups; the main ones being Elmarit (f2.8), Summicron (f2.0) and Summilux (f1.4). Fujifilm seems to be heading in the same direction with the present f2.0 line-up, which I happily call the "Fujicron" line! 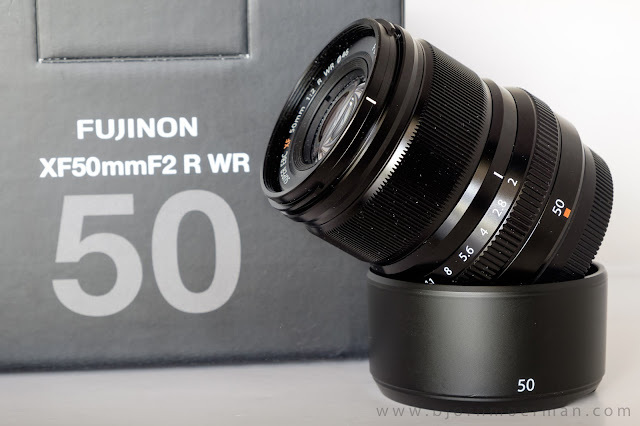 The XF50mm f2 has been on the Fujifilm lens roadmap since July 2016. While a 50mm lens (also nicknamed the "Nifty Fifty") is often considered a standard or normal lens; mounted on a cropped sensor X-series camera body it behaves like a 75mm lens and becomes a mid-telephoto. What is often forgotten is that "field of view" and perspective are however still based on the 50mm optics. Looking at all full frame camera/lens manufactures, only Leica offers a 75mm f2 lens as part of their Summicron lens range. 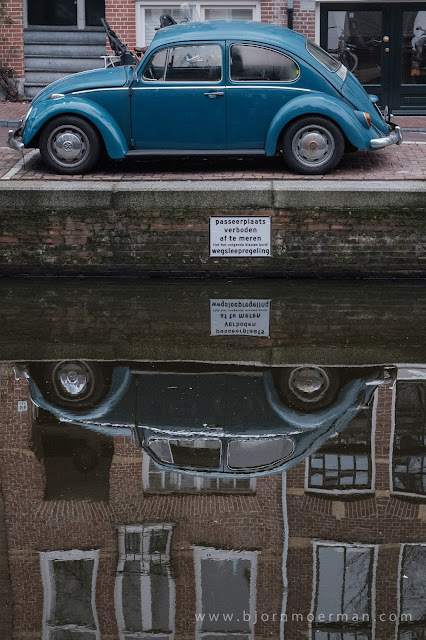 For portrait photography, 85mm full frame equivalent is often referred to as a minimum, while 75mm is often felt to be too high of a focal length for street photography. However famous photographers like Saul Leiter were known to be shooting even longer focal lengths (i.e. 135mm) in the 50's and 60's. Just like the 23mm and 35mm f2 lenses, the 50mm is also made in Japan; the high quality premium metal lens, consists of 9 lens elements in 7 groups. 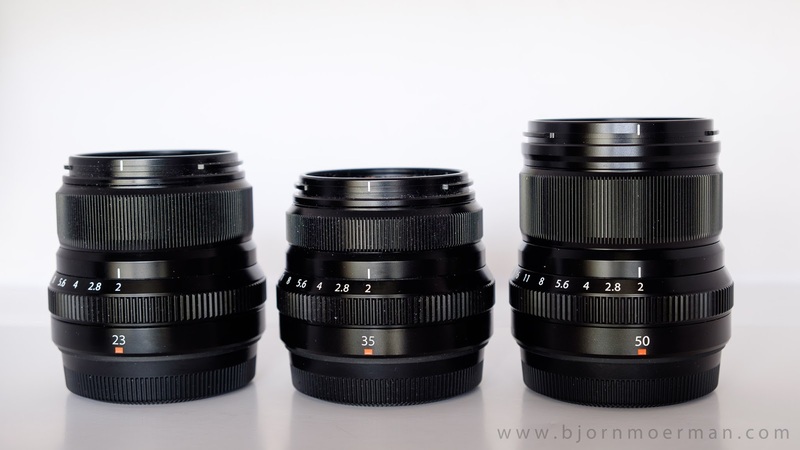 At just under 60mm length, it's a little bit longer than the 23mm f2 (52mm) and 35mm f2 (46mm). The overal shape and lens design allows for an almost clear view through the X-Pro2 Optical Viewfinder (OVF). The aperture ring has the right amount of friction (similar to the other 2 lenses) but like the other two does not have a depth of field scale. The focus ring is about double the size of the 35mm f2 lens and 1/4 more than the 23mm f2; a welcome increase for all of you manual shooters! The only negative about manual focus is that one needs two full turns on the focus ring to go from the minimal focus distance to infinity. In comparison the 23mm f2 only needs one 360 degree turn to achieve the same. Unfortunately Fujifilm wasn't able to maintain the 43mm filter size of its two older brothers and has increased it to 46mm. It weighs in at 200g, only slightly more than the 170g and 180g of respectively the 35 and 23. Overall the lens still feels light and nimble and a joy to work with. The lens is available in silver and black; for stealth shooting, I definitively prefer the black lens, even on a silver X-series camera, but that is a personal choice. 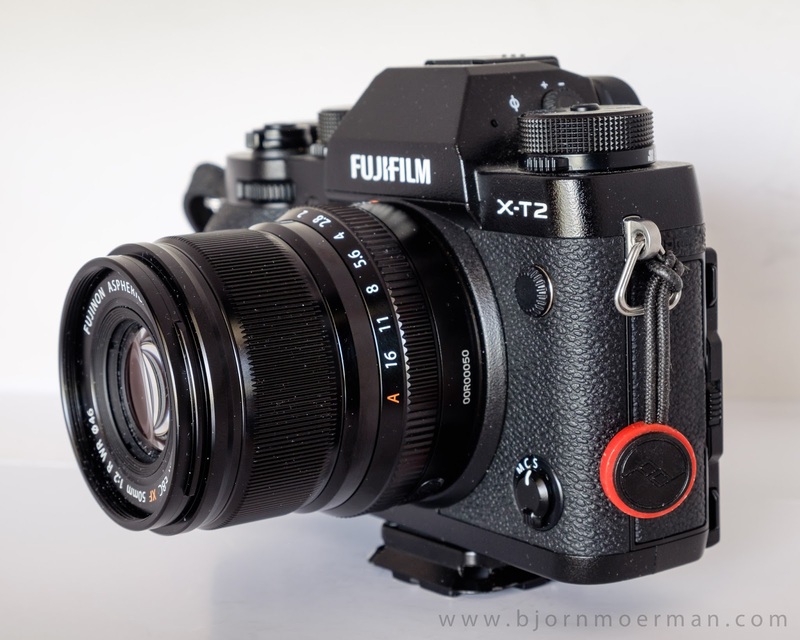 Like all XF- lenses (except 27mm pancake lens), Fujifilm always provides a lens hood with the lens; especially companies like Canon please take note! Because of the longer focal length, the 50mm plastic lens hood is a bit larger than the 23mm and 35mm f2 provided ones. When mounted inverted on the lens for packing, it doesn't protrude. A third party metal lens hood is available if one so prefers. Even if shooting directly into the sun I noticed virtually no sun flare; a tribute to the new Super Electron Beam Coating (EBC). The first two f2 lenses, are known for their very fast and virtually quiet auto-focus. The speed on the new lens is on par with the 23mm f2, which I personally believe is the fastest auto-focus prime, Fujifilm has released. There is no auto-focus hunting like on the 56mm f1.2 and low light auto-focus is on par with the best Fujinon glass out there. Although still very quiet, the auto-focus is a tiny bit more noticeable but nowhere close to the old 35mm f1.4 or 56mm f1.2. I'm really nit-picking here! Overall I'll call it quiet, but not 100% silent. 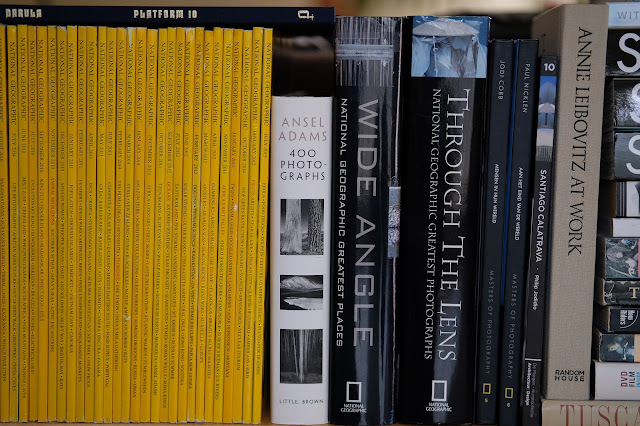 The new 50mm is very sharp across the frame; including at wide open apertures. Corner sharpness is sharp; very similar to the 23mm f2 and sharper than the softer corners of the 35mm f2. 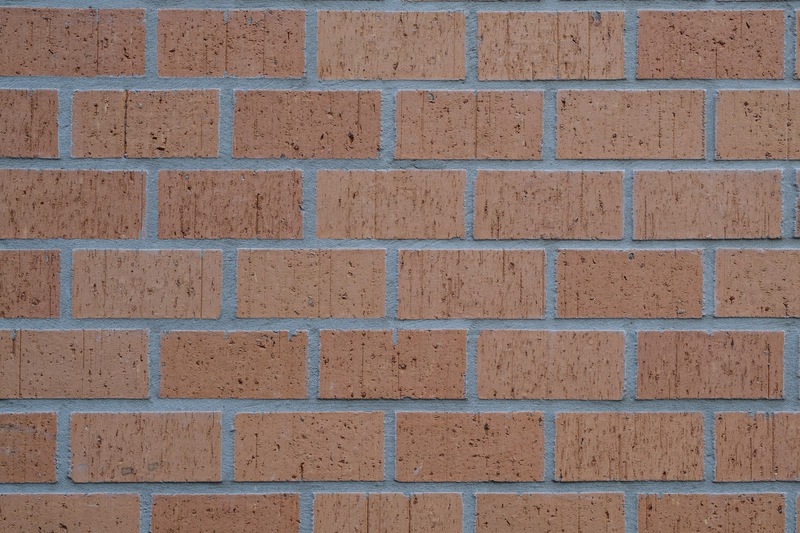 Whatever decrease in sharpness there is in the extreme corners, is completely gone at f4. 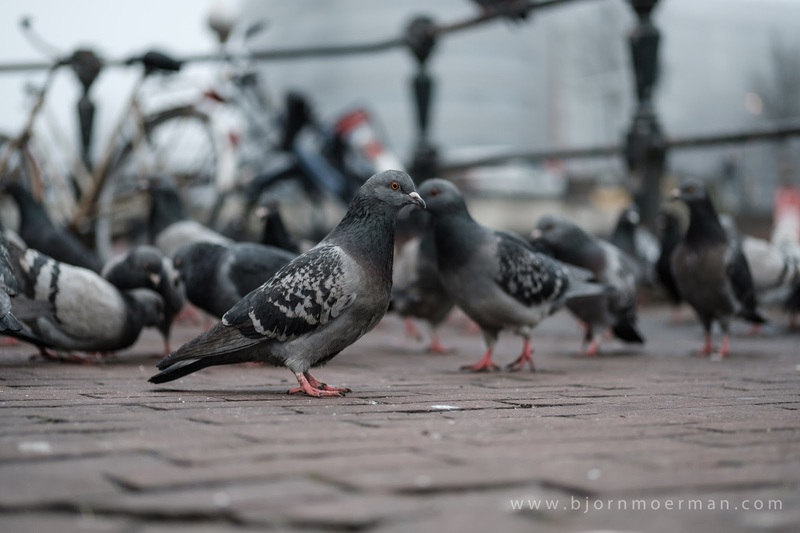 The below in camera jpeg images are shot at just under 1 meter focus distance, on a tripod, with all default settings. No editing sharpness has been added; they are all SOOC (Straight Out Of Camera). Click on the images below for a 100% view. Both with and without the lens hood I saw no vignetting or chromatic aberration. At 39cm (15.3 inch) the minimal focus distance is slightly more than the 35cm of the 35mm f2 lens; in line with the expectations of a longer focal range and still enough for some close-up photography; obviously not for macro work. 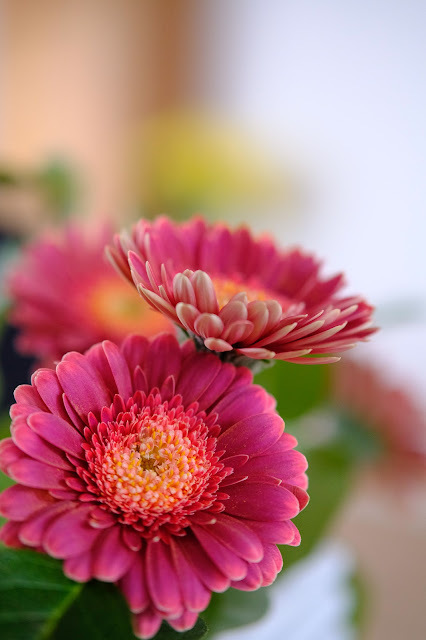 The 56mm f1.2 lens, is known to be a bokeh (out of focus areas) monster. Since the 50mm lens is an f 2.0 lens, it is needless to say that the falloff of the out of focus areas, is not as dramatic than a 1.2 lens. This is the main reason I won't compare these two lenses; after all they are very different. For most users, f 2.0 is plenty as can be seen in this headshot focussed on the right (for the viewer) eye and shot wide open (f 2.0). Even at f2.0 the depth of field is limited; as can be seen in the out of focus nose and ears. As can be expected for a normal (standard) lens, the distortion is minimal. 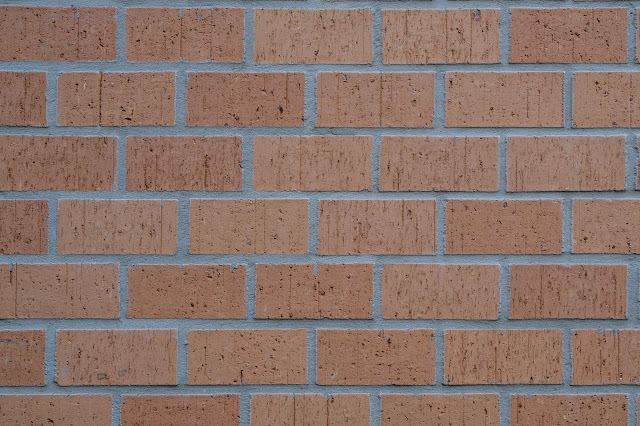 A classical shot of a brick wall (focus at 1 meter) can be seen below; RAW shot, no perspective correction done. So where does this lens fit in? 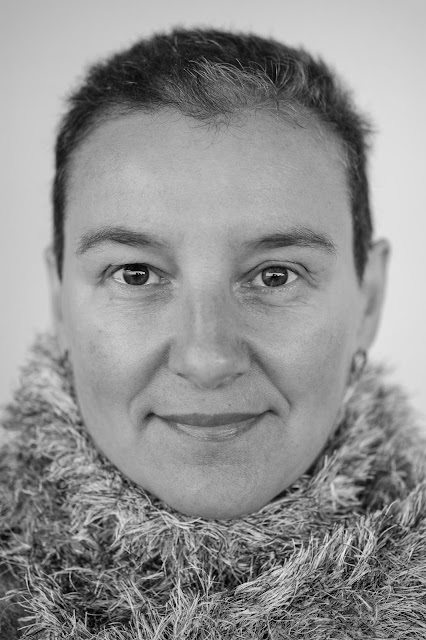 For me the lens works well for documentary photography, including environmental portraits. 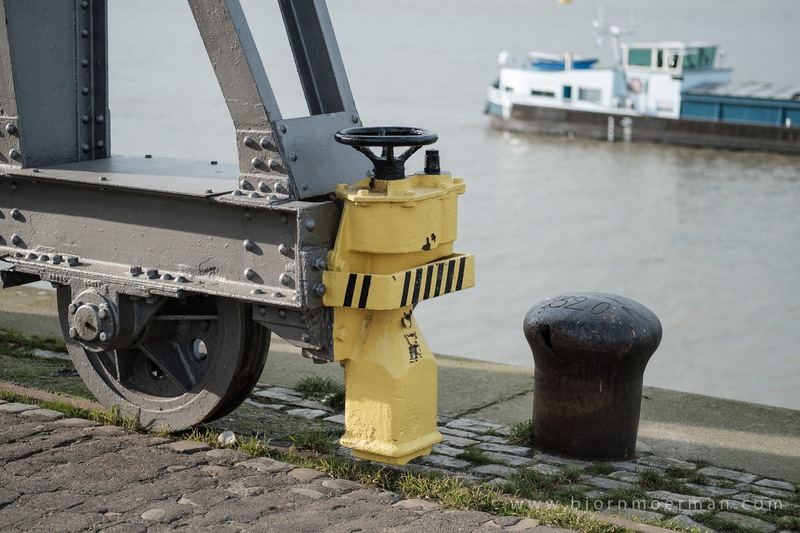 Being small, lightweight and weather sealed, makes it a perfect fit for somebody who is on the road in challenging environments. Although possibly not your first choice for street photography, it does have its place if one wants to (or needs to) keep a longer distance from the subject. 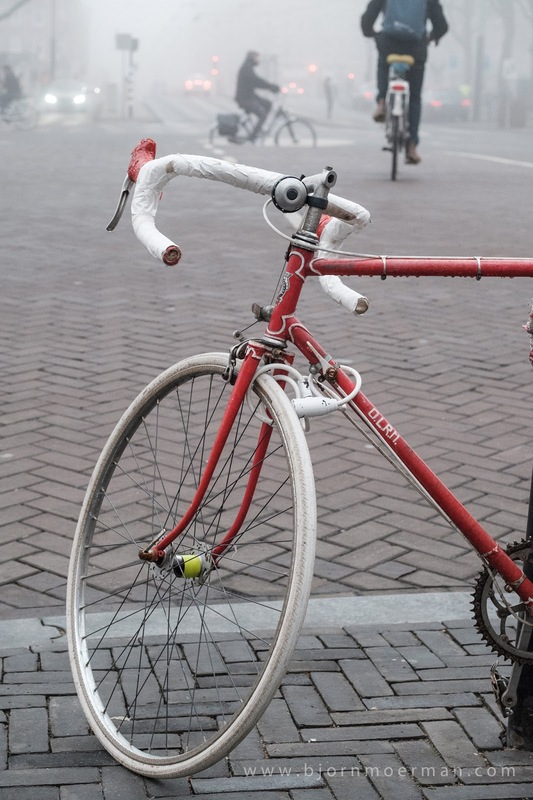 I look at it as my "shooting across the street" type of lens for street photography. Even though the lens can be used for portrait photography, I find the focal length a little short; rather suggest using the 90mm f2 (review here) or even the 56mm f1.2 if portraits are your main focus. Wedding shooters might like the 50mm f2 for its fast and quiet autofocus and be happy to accept the slightly shorter focal length. With its relative close minimal focus distance, it also makes for a good food and product photography lens. 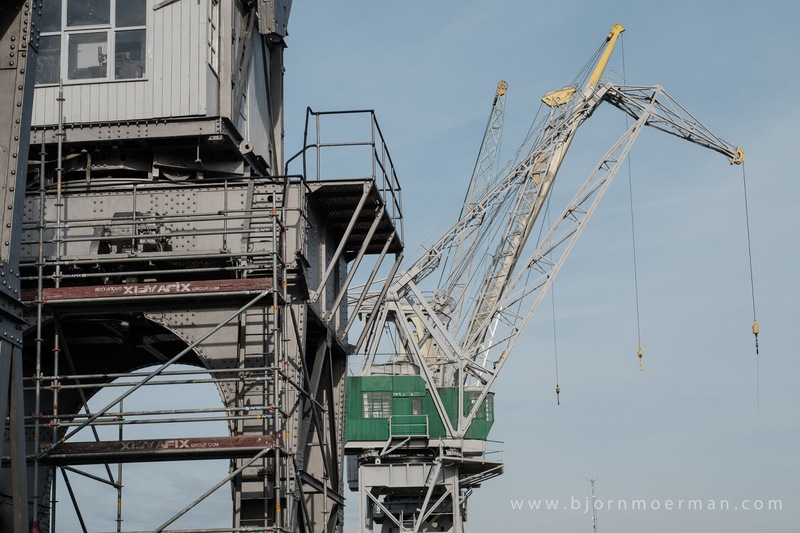 As can be seen in the sample images above, I shot the lens in a large variety of scenes and really enjoyed the overall shooting experience; it forces you to think a bit different which always boosts your creativity. I didn't use it for video, but can definitively see some people successfully doing so with good results. Will I buy the lens? Well since I'm a fan of the other two small f2 lenses (23mm and 35mm), I'll probably buy this one as well at some stage! 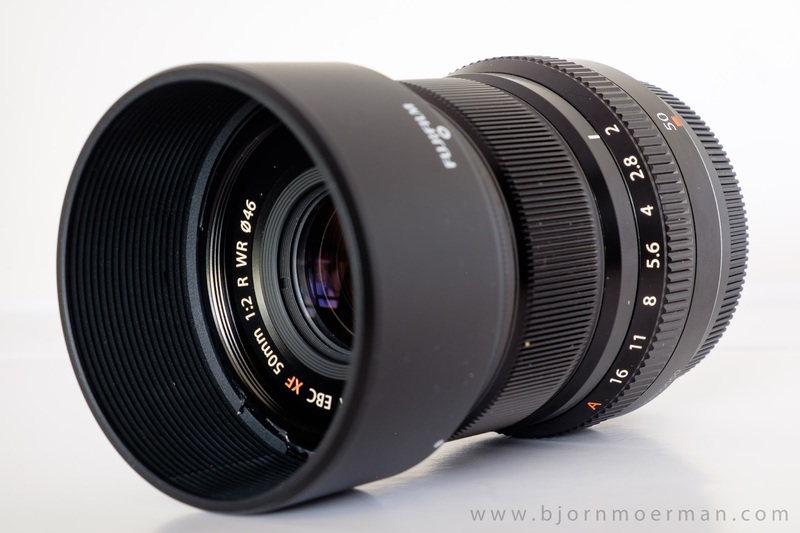 Priced at 449,-USD, its launch price is the same as the 23mm f2 and 50,-USD more expensive than the 35mm f2. The lens can be pre-ordered now and should be available in most parts of the world end of February.